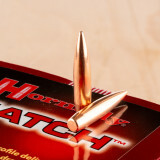 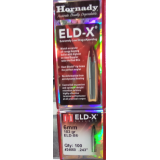 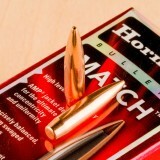 Hornady's .243 diameter ELD-X bullets are a premier bullet that yields match accuracy with a hunting purpose bullet. 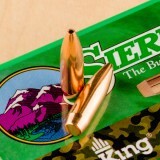 This ELD-X (extremely low drag - expanding) projectile features a heat shield to help the bullet from deforming mid-flight which changes the BC. 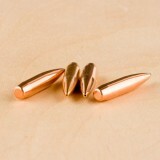 By holding the BC constant the end result is far greater accuracy and flatter trajectories. 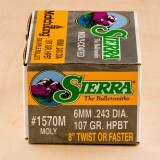 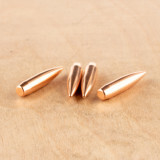 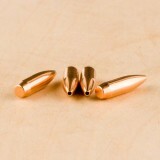 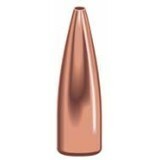 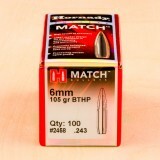 This bullet is unique in its performance to expand at short, medium, and long range distances due to the heat shield tip which helps drive massive expansion. 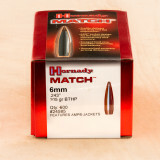 This is combined with Hornady's Interlock design which helps the bullet to retain its weight by ensuring the jacket and core don't separate delivering deep penetration. 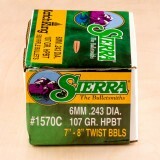 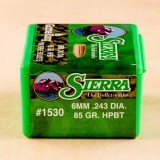 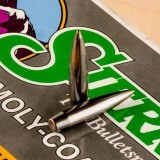 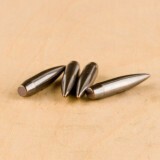 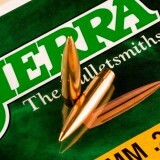 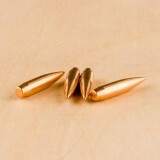 This is a premium bullet that will leave you smiling after you see it in the field.